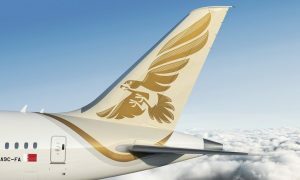 Etihad Airways President and Chief Executive Officer, James Hogan, said: “The failure by the German Government to approve the codeshares in time would severely, and possibly terminally, damage airberlin, Germany’s second-largest airline, of which Etihad Airways owns 29.2 percent. The codeshare routes in question, including flights to our hub in Abu Dhabi, were among 65 previously approved by Germany’s civil aviation authority, the LBA, and a key reason that we invested in airberlin. Mr. Hogan said: “In addition to the damage it would cause to airberlin, the withdrawal of approval for codeshare services on 29 routes would critically reduce consumer choice within and beyond Germany, and cause massive inconvenience to passengers, including during the peak Christmas and New Year travel periods. More than 82,000 journeys have been booked on these flights during the next six months. 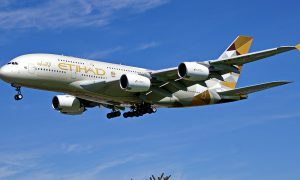 Mr. Hogan said Germany’s economic links to many countries would also be seriously damaged if Etihad Airways was forced to end the codeshare agreements with airberlin. 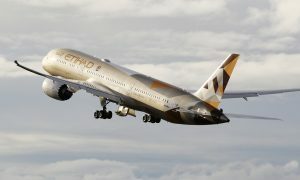 “Connectivity will be lost or diminished to a range of destinations throughout the Middle East, Indian sub-continent, Asia and Australia, as these codeshare flights are directly linked to Etihad Airways’ services beyond Abu Dhabi,” Mr. Hogan said.